Read pricing, features, and a review for the Lorex HD 720p Wireless Security Camera. The Lorex HD 720p Wireless Security Camera is a security camera system from Lorex. It boasts a night vision range of up to 135 ft. and a 78-degree field of view. Indoor/outdoor wireless HD security camera. High definition 720p wireless resolution. 135 ft. maximum night vision range. Pros: Easy installation and good mobile device monitoring. Bottomline: A cheaper, but lower quality alternative to heavy-duty 4K security cameras. 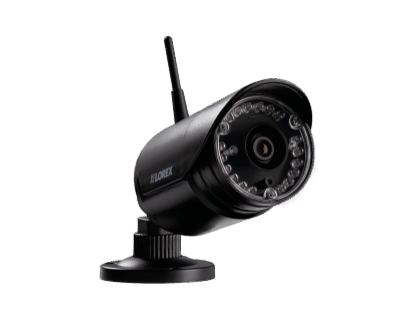 What are some alternatives to the Lorex HD 720p Wireless Security Camera? Where can I buy the Lorex HD 720p Wireless Security Camera? The Lorex HD 720p Wireless Security Camera is available on Amazon and on the Lorex website. Does the Lorex HD 720p Wireless Security Camera work at night? Yes, the camera has a maximum range of up to 135 ft. at night. Can the Lorex HD 720p Wireless Security Camera be used in any weather? Yes, the cameras have an IP66 weatherproof rating, which means it is suitable for both indoor and outdoor usage.